What Kind Of Oil Does Electric Chainsaw Use? Home » How To Articles » What Kind Of Oil Does Electric Chainsaw Use? First things first, all chainsaws need oil; whether gasoline or electric. In fact, today we will focus on the kind of oil an electric chainsaw requires. As you will soon discover, not only does an electric chainsaw need oil, its durability and quality of service depend on it. With gasoline chainsaws, the need for oil is obvious because the oil is mixed with gasoline to make the chainsaw operate. A chainsaw also needs bar and chain oil. 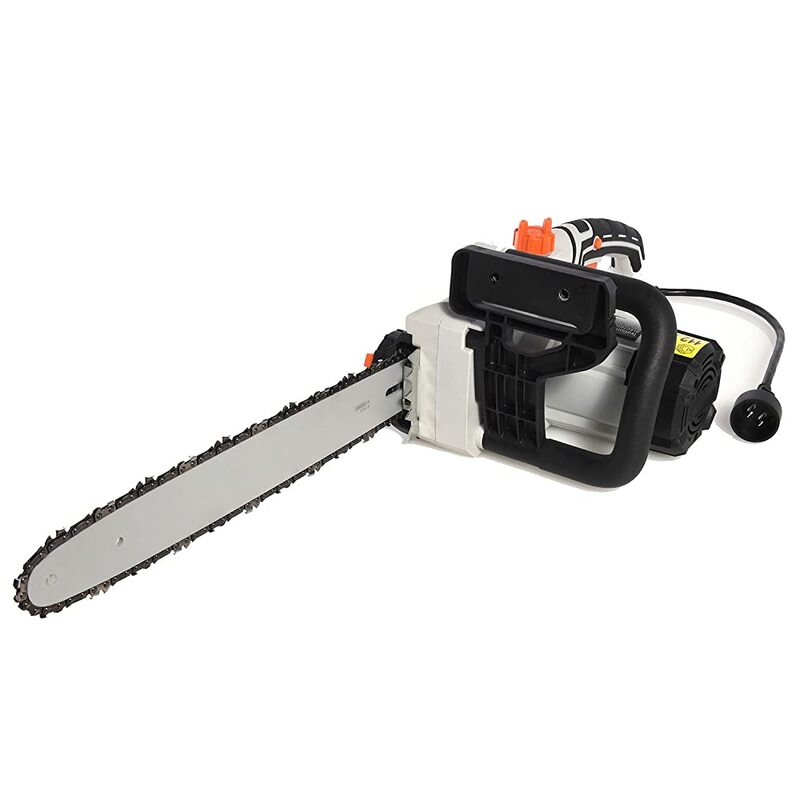 Both electric and gas-powered chainsaws use the same type of lubrication oil. These chainsaw parts need to stay lubricated for the chainsaw to cut property and have a reduced risk of failure. One of the warnings that your electric chainsaw is in desperate need of this sort of oil is the production of smoke from the bar when you are cutting pieces of wood. The bar and chain oil an electric chainsaw need is similar to the oil a gas-powered chainsaw requires. Basically, general bar and chain oil can be used on an electric chainsaw. Beyond this, you should take an interest in the kind of bar and chain oil you are using. Vegetable-based oils are great if you are wary about your carbon footprint and when trying to minimize damage to the trees you are pruning. Some oils change their viscosity drastically due to temperature changes. These are to be avoided in cases where the chainsaw is to be used in situations where wide temperature variations exist. Other oils can help reduce the “throw-off” problem by helping keep the bar and chain together for greater usage reliability. The chainsaw manufacturers will usually have recommendations on what type of bar and chainsaw oil to use on your electric chainsaw. Some brands will even make bar and chain oil for their chainsaws. This is typically the best option if it is available. However, there are some chainsaw manufacturers who do not make bar and chain oil for their chainsaws, but instead recommend other brands. It is best to use the chainsaw oil your manufacturer recommends. Sometimes you may have trouble getting your hands on the products the manufacturer recommends. In such cases, getting a close alternative is usually a great option. In fact, some chainsaw makers are well aware of this issue. This is why some chainsaw brands that will even go as far as allowing you to use motor oil on the bar and chain on your chainsaw. Such lubrication products are usually extensively tested to ensure they provide the greatest benefits for that particular chainsaw brand. Using the wrong type of oil can shorten the life of your chainsaw components. As a matter of fact, it is not just the bar and the chain you should be worried about- the clutch assembly and the drive sprocket can also be affected. Such oil can cause damage to the chainsaw’s oiling system. Old oil does not reduce friction as well as new oil because the used oil usually has other particles in it that inhibit its ability to act as a proper lubricant. Quite simply, used motor oil has already served its purpose as a lubricant, and it is no longer suited to the role. 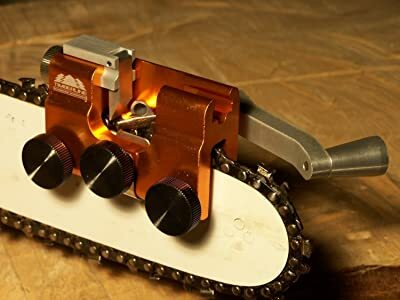 Any lubricating oil you use on your electric chainsaw is supposed to reduce friction so that the chainsaw performs better and the chain lasts longer. Therefore, any oil that does not help accomplish this, and there are oils that don’t, is not appropriate for your chainsaw. Basically, the best type of chainsaw oil to use is that which your manufacturer has explicitly recommended.